Washington, Jun 5 (Just News): President Donald J. Trump spoke today with Prime Minister Theresa May of the United Kingdom. The two leaders discussed the upcoming summit between the United States and North Korea in Singapore. 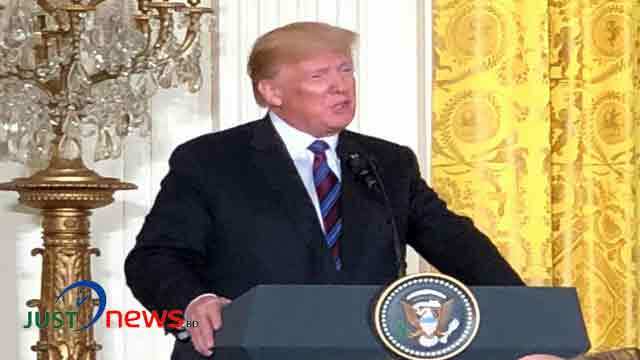 President Trump also called for a new and comprehensive deal that addresses all aspects of Iran’s destabilizing behavior, including in Yemen and Syria. The President further underscored the need to rebalance trade with Europe and expressed hope for a Brexit deal that does not increase tensions on the Northern Ireland border. Both leaders discussed their goals for the upcoming G7 Summit in Canada, and look forward to the President’s visit to the United Kingdom in July.